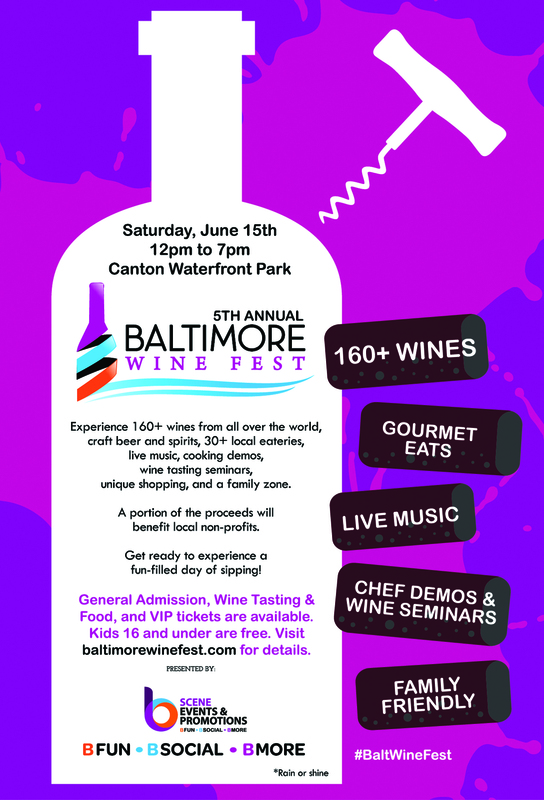 Join B Scene Events on Saturday, June 15, 2019 for the 5th Annual Baltimore Wine Fest. Sip the day away at the picturesque Canton Waterfront Park - enjoying 160+ wines from all over the world. The Baltimore Wine Fest will also feature gourmet eats prepared by local restaurants, chef cooking demos, wine seminars, craft beers & spirits, a wine bar, live music, arts and crafts vendors, a family zone, and more!